Bring the kids and work off that turkey! Looking for a way to get muddy, have fun and support Athletes Without Limits? Sign up for the 2009 MABRA Cyclocross Championships held in Taneytown, MD on November 29, 2009 and bring the kids for the kids bike race at 1pm. It’s the perfect way to work off your Thanksgiving meal and meet our very own Syd Lea (pictured right) who is looking to place in the top 3 for the Men’s Cat 4 MABRA Cyclocross Series Overall (nondisabled). 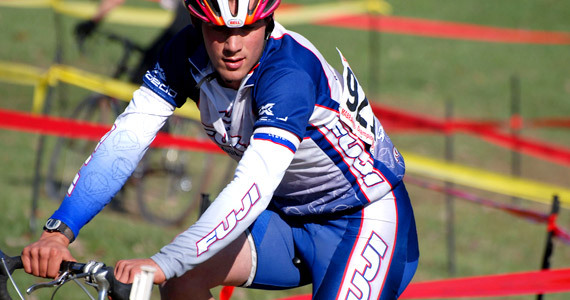 Sign up to race cross at BikeReg.com and make a donation of $20.12 on the registration form to help Athletes Without Limits support talented athletes with intellectual disability as they strive for glory at the 2012 Paralympics in London.